I don't like run-ins with clowns. I'm not saying I have a specific, clown-related phobia, but I'm not dying to crash a child's birthday party any time soon. (I'm just hoping there isn't a part two in the adventure of Wasco the clown's California invasion. That was BIZARRE.) 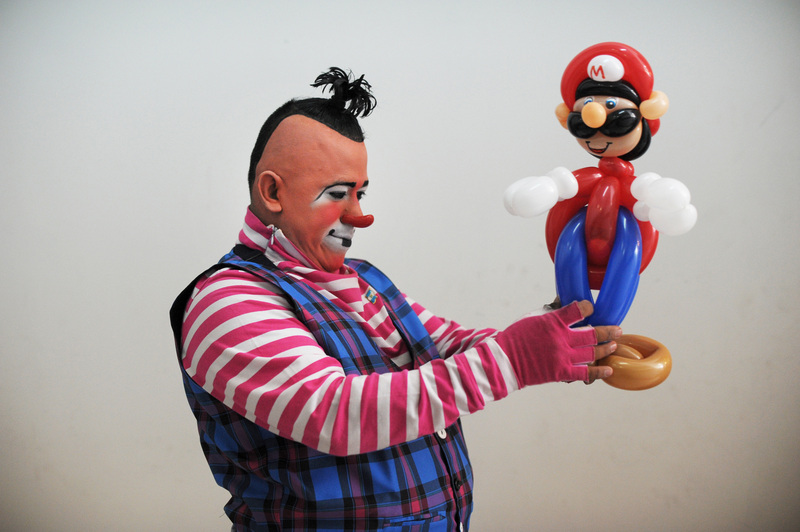 And speaking of bizarre clown related paraphernalia, incredibly detailed balloon animals are a weird thing that exists. Balloon animals are a creepy concept in general—one that even 5-year-olds shouldn't be on board with. And also, EVERY ANIMAL EVER just looks like a hot dog because they use those really long balloons. Am I the only one that thinks those balloons look completely phallic? Anyway, if you for some reason see the allure of balloon animals, maybe Japanese artist Masayoshi Matsumoto will bring you to the light. He's taking balloon animals and elevating them to an art form. A weird, but nonetheless impressive, art form. Creepy and crawly and all made out of a balloon. I appreciate his detailing, I just never have a positive reaction to balloon bugs. Sorry. Now THIS I'm on board with. How did he not design the Hootsuite logo? You might want to consider balloon animals for your next party. A word to the wise though, warn your guests ahead of time.